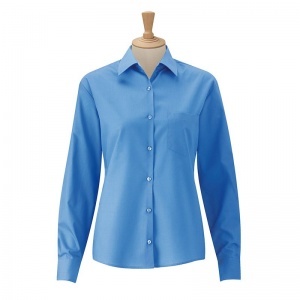 Smart corporate shirt in classic poplin fabric. True easy care fabric requires minimal ironing. 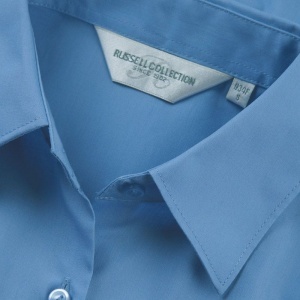 Classic single-button collar. 7 button placket with matching colour buttons. Single pocket over left chest. rounded 2 button adjustable cuffs.